A well-known pro-Syrian hacker group known as Syrian Electronic Army (SEA), aligned with President Bashar al-Assad, who successfully attacked The New York Times, Huffington Post, and Twitter, BBC, National Public Radio, Al-Jazeera, Microsoft, Xbox, Skype and responsible for cyber-attacks against various other U.S media companies in the past. Last evening, the Group claimed the responsibility for hacking another big media outlet “CNN”, compromised their Twitter, Facebook account and the website. 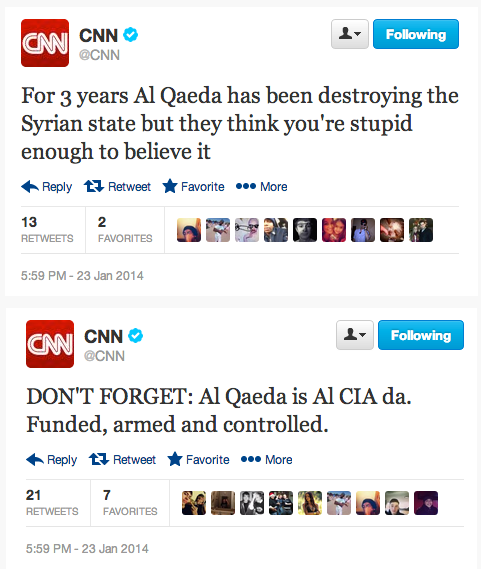 CNN’s twitter profile with 11.6 million followers saw a number of fake tweets from hackers, including allegations that the Central Intelligence Agency (CIA) is behind the Al-Qaida network. Hackers Tweeted, "Tonight, the #SEA decided to retaliate against #CNN's viciously lying reporting aimed at prolonging the suffering in #Syria." "Obama Bin Laden the lord of terror is brewing lies that the Syrian state controls Al Qaeda." 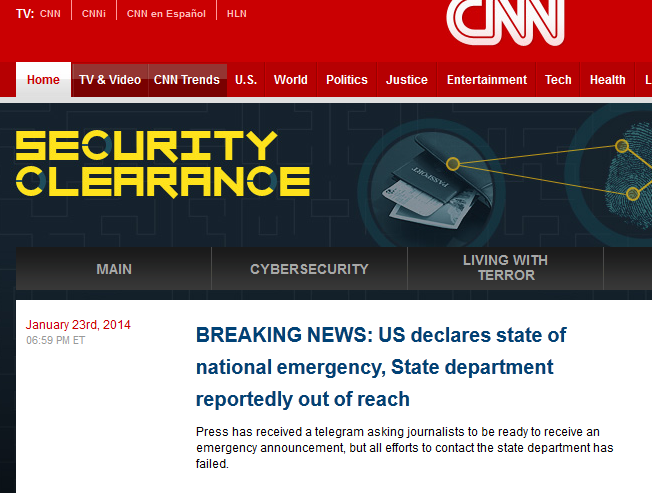 They also hacked into CNN's "Security Clearance" blog, and posted a new fake article, titled "US declares a state of national emergency, State Department reportedly out of reach." Within 5 minutes, CNN took control back and deleted all the fake contents. CNN confirmed that some of their social media account were compromised via third-party social publishing platform. "We have secured those accounts and are working to remedy the issue." they said.